Man gasps dying words into officer's bodycam: "They're killing me right now... I can't breathe." 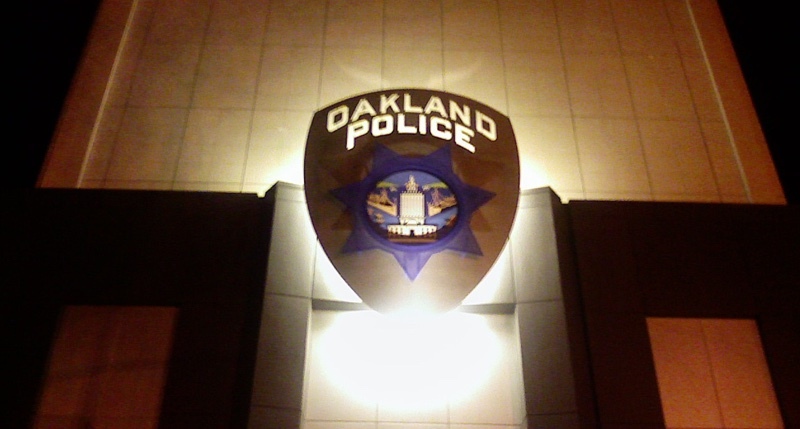 In 2013, Ana Biocini called the Oakland police because she'd heard a noise and thought there might be an intruder in the house. When the police arrived, they handcuffed her brother, Hernan Jaramillo, "without any lawful reason or justification," dragged him 20 feet down the sidewalk, threw him facedown into the ground, and three officers knelt on him while he begged for breath. The 51 year old man died at the scene. The victim's last words were "They're killing me right now... I can't breathe." In the background, an officer replies, "Sir, we're not killing you." The police did not release the footage. It is under a protective order, but it leaked to the Contra Costa Times, who published it. The police claim Mr Jaramillo died because he had a "potentially lethal dose of cocaine in his system." The City of Oakland is settling a suit for Mr Jaramillo's death for $450,000. "All the while, Ms. Biocini implored the defendant officers to stop, insisting that her brother was not the perceived intruder," according to the suit. The suit said the man struggled, was thrown on the ground and "dragged approximately 20 feet on his back to the sidewalk." He was then thrown "face down on to the ground," according to the suit, and an officer held his knee to Jaramillo's back "while other officers used their weight to hold him down." The suit said the man "screamed out for help and strained to breathe under the collective weight of the three Defendant officers," which was partly captured on grainy body cam footage.